Kate Middleton Has A New Favorite Outfit. What Is It? Despite the fact that Kate Middleton's style is very conservative and moderate, she still finds room for experiments in her wardrobe. For instance, sometimes you can see her wearing not only her favorite coat dresses but also classy floor-length wide leg pants. Most often the Duchess prefers dresses. The style may be different as may vary the length. She has a record of wearing mini, midi, and maxi dresses. She mostly prefers the knee-length ones, while during her pregnancies she chose something shorter and more easy-fit. 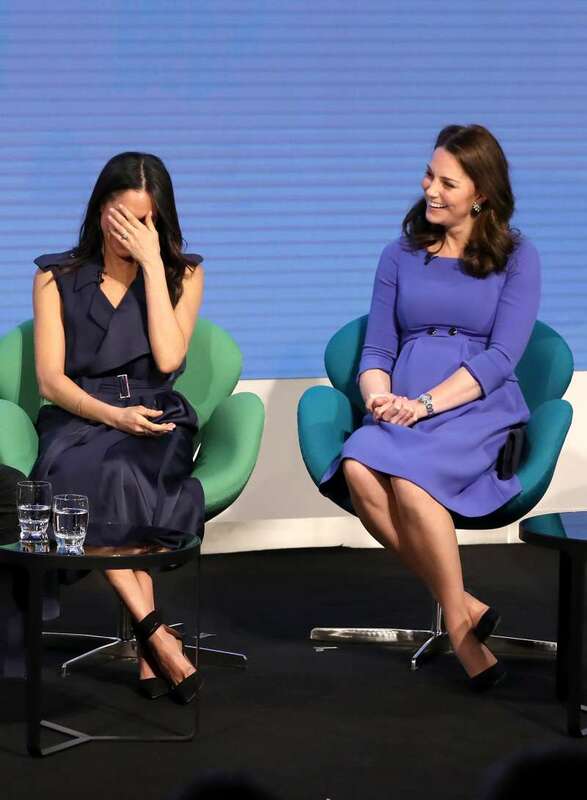 READ ALSO: What Secret Item Meghan And Kate Wear To Prevent Their Dresses From ‘Flying Up In The Wind', According To Etiquette Expert? However, quite recently, a "newbie" appeared in Kate Middleton's wardrobe. In November 2018, she appeared in public wearing a burgundy skirt suit which consisted of a slim-waisted jacket and a circle mini skirt. She paired it with a black turtleneck underneath and matte black tights. The look resembles a playful smart style. It's quite an uncommon outfit for the Duchess, but she looked like she was feeling comfortable in it. But seems like this new style is here to stay! In January 2019 she appeared wearing a similar suit again. This time the color was fuschia with a violet undertone. A knee-length circle skirt and once again short slim-waisted jacket. Despite the fact that it's the middle of winter, this outfit looks very spring-like. It looks more like a dress, yet it's a suit. Notably, these looks appear very elegant and modest, but, at the same time, add a flair of playfulness and flirtatiousness. Kate simply glows in these suits! What do you think about such outfits? Share your opinion in the comment section. READ ALSO: Why Did Kate Middleton Prefer Mini-Dresses During Pregnancy And Will Meghan Markle Do The Same?